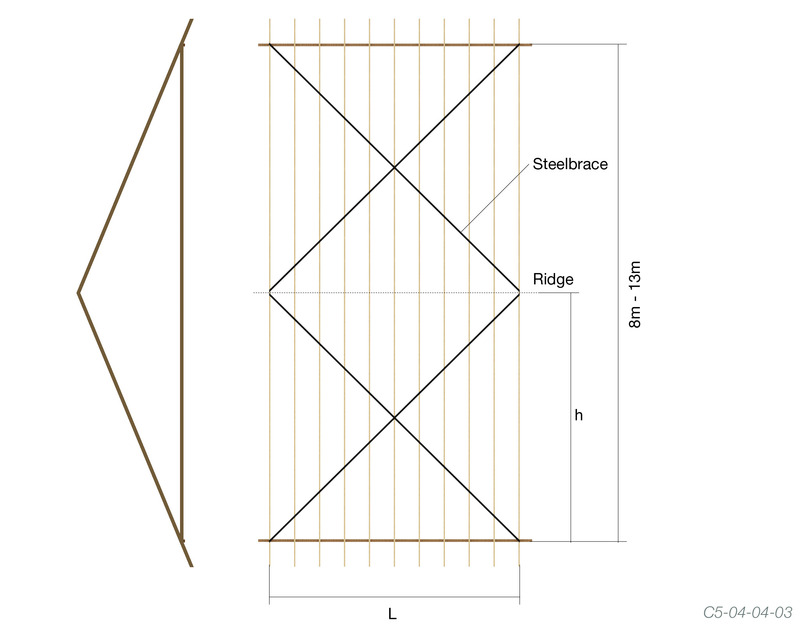 For spans of 8m to 13m, a steelbrace in an X-shape configuration shall be used. 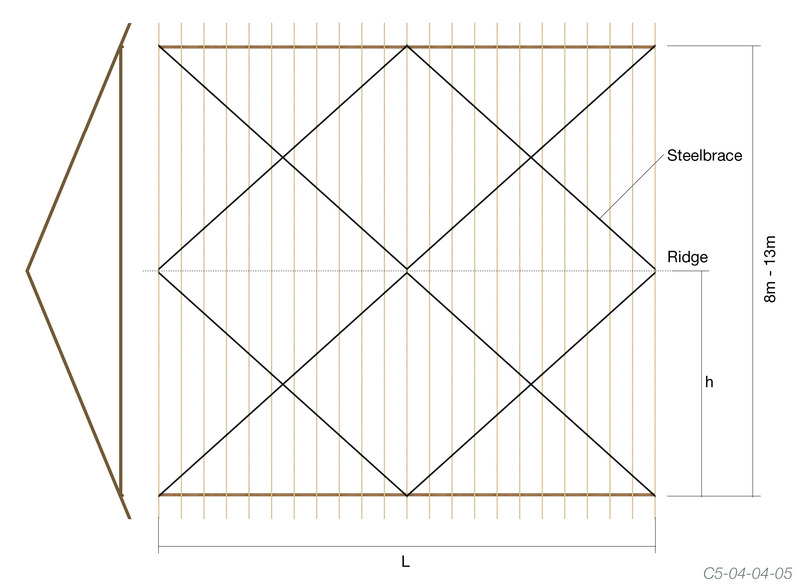 A single steelbrace shall be used with the limitation in the span of roof trusses as specified in Table below. Each truss in the brace section shall be crossed with at least four braces. For a roof with overall span greater than the maximum values specified in Table 1 but less than 13.0m, a double steelbrace shall be used, as shown. 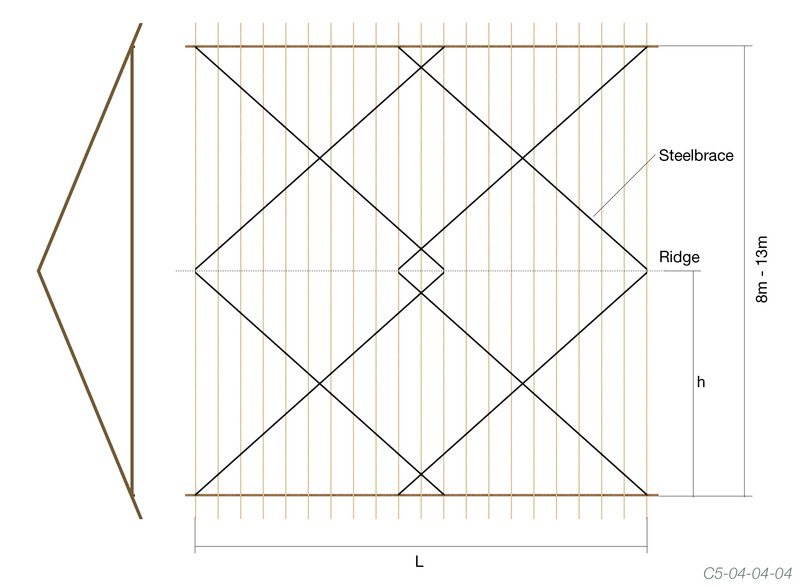 Where the roof Length (L) is very short compared to the half span (h) of the roof truss such that it would result in a brace angle greater than 45°, a diagonal steelbrace arrangement shall be required each side of the ridge line as shown. Bracing bays shall be spaced across the roof such that the brace angle is always between 30° and 45°. 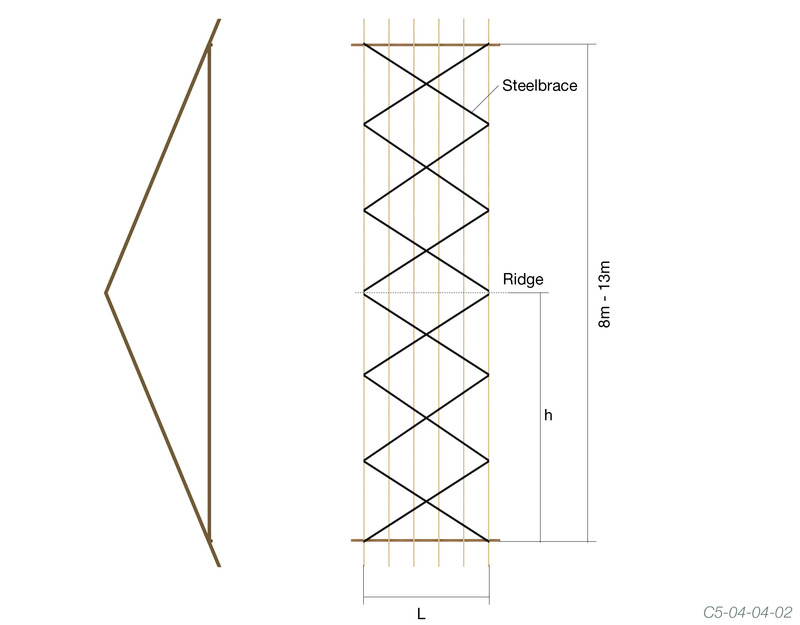 For a very long roof the steelbrace is continued for the length of building such that each truss shall be crossed with at least four braces (see Figure C5-04-04-05).